Welcome to the Local Fix newsletter. Get the Fix in your inbox by subscribing at tinyletter.com/localfix. Below are three pieces on how publishers are building aspects to their business, rooted in building new products and services for audiences. Each of the newsrooms are growing thanks to their smart investments in local relationships, collaboration, and innovation. Want to think about how you can develop news products with your community? This is a good starting place. Here at the Local Fix we are always on the look out for unique story formats and delivery mechanisms. Experimenting with how we produce and deliver the news is an opportunity to expand how we serve communities, giving audiences many ways to engage and use the journalism we produce. Our new site is chock full of practical advice, tools and tips. For a few weeks, we’ll highlight some of them here on the Local Fix. This week, we recommend our guide to running journalism events. There are sample agendas, budgets, and a template for speaker agreements as well as pages of examples and advice from other newsrooms who have built strong events programs. You can even print the whole thing and hand it to someone in your newsroom by clicking the handy “download PDF” button. 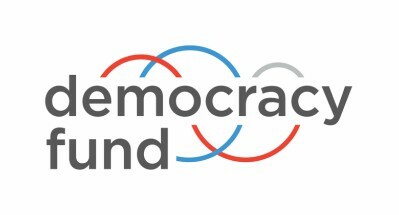 After you check that out, don’t forget to send us your feedback and ideas for other resources that you would find useful on the Lab at localnewslab@democracyfund.org.